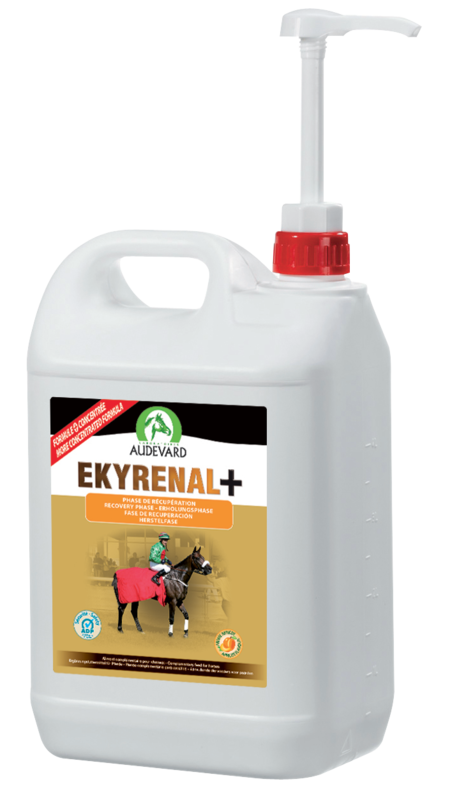 Ekyrenal+ is a superb complementary feed from Audevard Laboratories. Formulated to provide horses with the nutritional support they need after exercise, this apricot flavoured feed contains specific nutrients from specially selected plants, as well as choline and methionine. Nutritional support is necessary during recovery periods to help horses build up their energy following the production of large amounts of organic waste after exercise. Give 25 mls 1-2 times per day, according to the horse’s requirements.